We have a position available for a part-time Business Trainee to work with a local Business and Administration Services company in Bendigo. Applicants should be genuinely interested in 'all things admin' and have a bubbly personality along with great presentation skills. Hours: 20 to 25 hours per week, spaced over 4 days. Ai Group Apprentice & Trainee Centre has a position available for a Traineeship in Vineyard Operations with a prominent and highly successful operator in the Heathcote region. The Traineeship is for 3-years duration and involves ensuring the smooth running of all vineyard operations in line with safety procedures. Our host organisation is involved in large scale manufacturing in the eastern suburbs of Melbourne. We are currently looking for 2 apprentices that are able to commence or continue working in a Fabrication / Welding apprenticeship. 3rd or 4th year apprentices are encouraged to apply. We are currently looking for a motivated and enthusiastic individual to undertake an apprenticeship in mechanical engineering with a blue chip organisation. Candidates must have strong math and a demonstrable mechanical aptitude. A pre-apprenticeship in engineering would be favorable. Customer Service Traineeship - St Kilda Rd precinct. * Please note that Tertiary qualified persons are not eligible for this position. We currently have a number of outstanding opportunities to undertake an apprenticeship in the mechanical engineering field with a leading educational institution in Melbourne's eastern suburbs. Ai Group Training is seeking an apprentice Electrician to work with our host employer, P. R. King & Sons in Marrickville. PR King & Sons is an Australian family business with close to 100 years of experience in the lift and engineering industry. Reception Traineeship - St Kilda Rd precinct. * Please note that this role is entry level - Tertiary qualified persons are not eligible for this position. Administration Traineeship - St Kilda Rd precinct. Ai Group Apprentice & Trainee Centre together with their Host Employer, a provider for crane servicing and repairs perform engineering and manufacturing of crane parts are seeking 1st or 2nd Year apprentice Fitter & Turner. 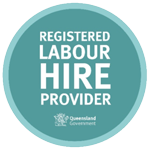 Apprenticeship: Cert III Engineering Fitter & Turner (Junior). With 50 years of electrical and engineering industry excellence and 22 branches across Australia and New Zealand, our client is seeking an Events Trainee based in the Richmond office. > Dedicated mentoring from an experienced industry professional. > A nationally recognised Qualification in Business. Ai Group Apprentice and Trainee Centre is a Group Training Organisation who employs apprentices and trainees then places them with Host Organisations. We provide support and mentoring for all apprentices to help guide you through the apprenticeship. This is an International company heavily involved in Defence work with close ties to Aviation and Marine Operations. Ai Group Apprentice & Trainee Centre together with its Host Employer, a provider for crane servicing and repairs perform engineering and manufacturing of crane parts, are seeking a 2nd or 3rd Year Electrical Apprentice. Ai Group Apprentice & Trainee Centre have multiple exciting opportunities available under the Victorian State Governments Youth Employment Scheme (YES). The YES program offers people aged 15 to 24 a career kick-start with traineeships in the Public Sector within various administrative support positions. Positions are located within the Melbourne CBD. Our host company is one of the worlds largest renowned manufacturers of construction and earthmoving machinery. In partnership with Ai Group Apprentice & Trainee Centre they are looking for a motivated, committed and enthusiastic individual to undertake a Certificate III Spare Parts Interpretation Apprenticeship at their Erskine Park, NSW site.